IMMACULATELY MAINTAINED!! 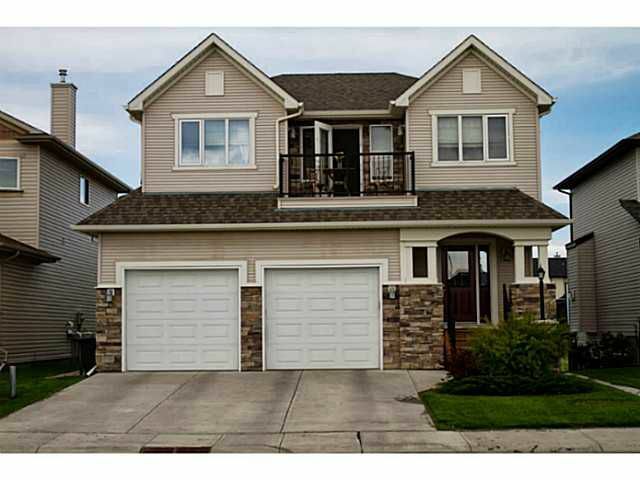 This former showhome is located on a quiet cul-de-sac in Cimarron Park Estates. Backing onto GREENSPACE, this home shows pride of ownership throughout. Large foyer welcomes you with stunning slate floors leading to the beautiful family room with a gas fireplace & an amazing kitchen with custom cabinets, thick granite, stainless steel appliances & walk thru pantry. Hardwood has just been refinished. Upstairs you'll find a bright open bonus area with a balcony, 2 large bdms with a jack & jill bath along with a wonderful master with huge walk-in closet & luxurious en-suite. All bathrooms have thick granite countertops. The fully developed walkout bsmt has in-floor heat & offers wide open spaces for large theatre seating, bathroom, tons of storage & flex space. Garage is insulated, drywalled & the overhead heater is included. Air-conditioning, 10' ceilings, built-in audio throughout, central vac & upgraded underlay are just a few of the features this fantastic home offers.